Yangyang Zhou and Quan Jiang studying in the US on student visas reportedly scammed Apple by submitting over thousands of fake iPhones and getting them replaced under Apple’s warranty scheme. 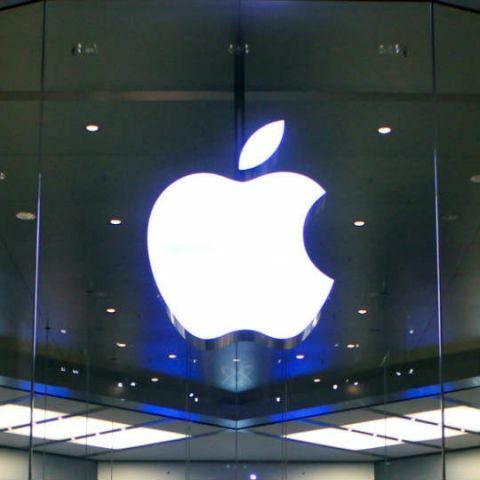 Two engineering students in the US reportedly swindled Apple out of thousands of dollars. As per a report by The Oregonian, two students named Yangyang Zhou and Quan Jiang imported thousands of fake Apple iPhones and sent them to Apple for replacement. The two apparently received the counterfeit iPhone shipments from China and sent them back to Apple again after getting them replaced from Apple by stating that they wouldn't power on, exploiting the company’s replacement warranty policy. Zhou and Jiang’s contact in China sold the original iPhones off at a standard price and paid a cut of the profit to them. As per the report, Federal agents in Portland commenced investigating the import of counterfeit shipments in April 2017, after the U.S Customs and Border Protection seized five such shipments from Hong Kong. A Homeland Security agent identified Jiang as one of the alleged importers of fake phones and interviewed him. Jiang reportedly denied knowing that the phones were knock-offs and said that he received 20 to 30 iPhones regularly from his associate in China and submitted them as they didn’t turn on and sent the repaired phones back to him. His associate back in China paid Jiang’s mother in lieu of “his labor and efforts,” who deposited it in an account that the student accessed from the US. Jiang is said to have submitted 2,000 units in 2017 to Apple for warranty repairs, sometimes by walking into an Apple store and at times by raising service support online and shipping it to Apple. Adrian Punderson, an Apple representative, said that the company checks every device for authenticity before performing repairs and sometimes rejects them if they are not genuine, the report states. Jiang apparently had 3,069 iPhone warranty claims by either his name, email, address or IP address, all citing the reason that the device wouldn't power on. Apple replaced 1,493 of these phones and rejected the rest, which reportedly cost the company $895,800 (Rs 6 crores approx). Man Utd. training sessions tracked by cameras worth Rs. 5 crores! Apple’s engineers were unable to find out whether the devices were fake since they wouldn’t power on, the report states. As The Verge points out, Apple apparently doesn’t ask for proof of purchase. Additionally, the company sent Jiang cease-and-desist notices to Jiang’s address, to which he didn’t respond. Jiang reportedly said that he never received any notification from Apple that the phones being returned by him were counterfeit. Both Zhou and Jian remain out of custody. Zhou recently completed his engineering at the Oregon State University and appeared before the U.S. District Court in Portland. Jiang is being monitored by GPS. Jiang was studying engineering last spring at Linn Benton Community College. This is not the first time someone has tried to con a conglomerate into shelling out money. A previous report claimed that a Lithuanian man duped Google and Facebook by producing fake invoices. The companies paid up the fake invoices worth $122 million without realising that the invoices listed things they didn’t even order. Which is the best laptop for engineering college? Describe about law students personal statement?